Studies show there is a rise in the number of Periprosthetic fractures of the femur after total knee replacements. Periprosthetic fractures of the femur after total knee arthroplasty are a potentially serious complication. 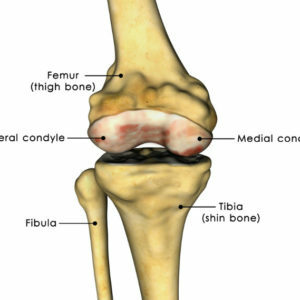 It may involve the distal femur, proxima tibia or the patella. In a study presented at the March 2017 Orthopaedic Research Society (ORS) annual conference, DePuy Synthes acknowledged a consistent pattern of plate failure through the combination hole at the level of comminution with the use of the Synthes VA-LCP Curved Condylar Plate for the management of AO type 33-A.3.3 fractures. Another study performed in January 2016 by Tank et. al, published in the Journal of Orthopaedic Trauma, concludes: Early mechanical failure with the VA distal femoral locking plate is higher than traditional locking plates (LCP and LISS) for OTA/AO 33-C fractures. The study by Tank et al went on to state: We caution practicing surgeons against the use of this plate for metaphyseal fragmented distal femur fractures. However, a similar study was presented at the 2011 ORS annual meeting. Instead of addressing these problems by pulling a dangerous and defective product from the market, DePuy Synthes opted to continue selling the VA-LCP implant, while hiding it’s dangers from surgeons and patients. Failure of the VA-LCP causes severe pain, rendering the patient unable to walk and requires surgery for removal and replacement of the implant. Patients suffer additional costs for hospitalization, medication, rehabilitation, home healthcare and lost wages, and are put at risk for complications of surgery and even death. The overall mortality is 30% for non-periprosthetic (native) fractures and 46% for periprosthetic fractures. Thirty-day, 6-month, and 1-year mortality rates are 2%, 13% and 23%, respectively, for the native fracture group and 8%, 24% and 27%, respectively, for the periprosthetic fracture group. To prove negligent design defect, Plaintiffs must show that DePuy Synthes violated its duty of care by introducing a product into the marketplace, or continuing a previous tender, with actual or constructive knowledge that the variable angle locking plate [implant] is too harmful to be used by anyone for the management of distal femur fractures. DePuy Synthes acknowledged a study presented at the March 2017 ORS annual meeting documenting a consistent pattern of plate failure through the combination hole at the level of comminution (Figure 1) with the use of the Synthes VA-LCP Curved Condylar Plate for the management of AO type 33-A.3.3 fractures. Early mechanical failure with the VA distal femoral locking plate is higher than traditional locking plates (LCP and LISS) for OTA/AO 33-C fractures. The mean time to failure in group VA was 147 days (range 24-401 days) and was significantly earlier (P=0.034) when compared with group LISS (mean 356 days; range 251-433 days). We caution practicing surgeons against the use of this plate for metaphyseal fragmented distal femur fractures. A product is said to be defective when it is not reasonably fit for the ordinary purposes for which such product was sold and intended to be used. A defective product is unreasonably dangerous to the user or consumer when it is dangerous to an extent beyond which would be contemplated by the ordinary user (consumer) possessing the knowledge of the product’s characteristics which were common to the community. Defective joint replacement lawsuits are often complicated. You need experienced attorneys who know how to navigate the system, the ins-and-outs of medical lawsuits and joint replacement litigation. The highly-experienced attorneys at Nash & Franciskato have a long track record of successfully litigating defective orthopedic cases. If you are experiencing Periprosthetic fractures of the femur after total knee arthroplasty, contact us today for a free, no-obligation case evaluation.